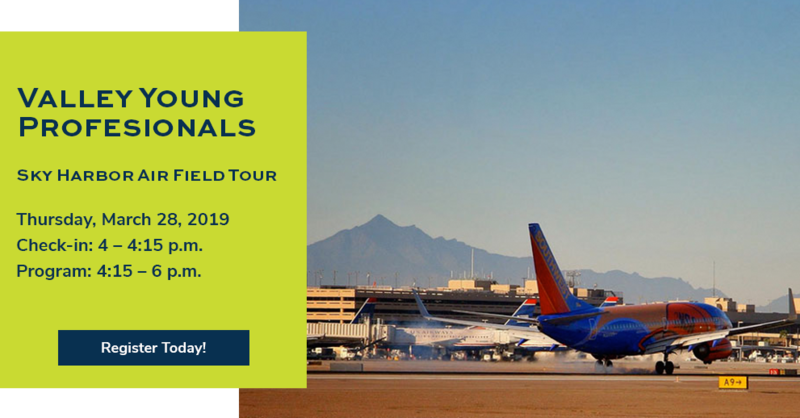 Join the Valley Young Professionals on March 28 for an exclusive tour of Phoenix Sky Harbor’s Air Field and see flight travel from a whole new perspective. 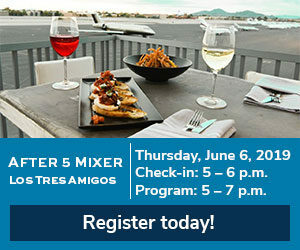 Phoenix Sky Harbor International Airport ranks as one of the best airports in the country and it is easy to see why. Each day, not only does the airport see around 120,000 passengers, more than 1,200 aircrafts, and more than 800 tons of air cargo handled, but it has a $106 million daily economic impact. After a brief high-level overview of the airport, we will begin our exclusive tour of just how airplane travel happens before ever gaining altitude! Special notes: This tour is first come, first serve basis and normal airport security protocols do apply. Please be ready to go through security (no guns, knives, etc.) and photo identification will be required. 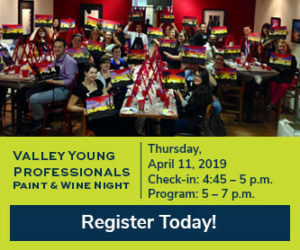 Registration for this event closes on March 25, 2019, or once capacity is reached. Payments must be made in advance and no refunds will be given for cancellations made within 72 hours of the event.